In the name of fashion, Ezekiel Elliott stole the show on the NFL Draft red carpet with a bold suit selection Thursday evening in Chicago. 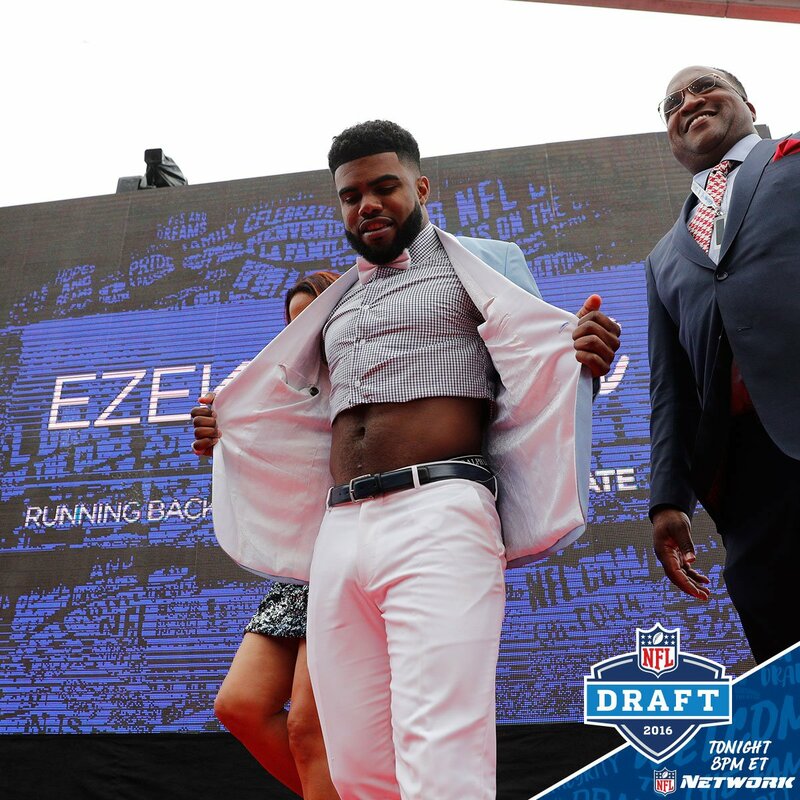 He wore a crop top dress shirt under his powder blue suit jacket, and his abs subsequently blew up social media. Reports confirm, he made the cut-off look famous in his football uniform at Ohio State, where he had an illustrious career that included almost 4,000 rushing yards, 43 rushing touchdowns and a national championship. Elliott was widely regarded as one of the top prospects in this year’s draft. He made the headlines and rumors had it recently that he could be the Dallas Cowboys’ pick at No. 4. Dallas did select Elliott at No. 4 after all and in what was probably a wise move, the former Buckeye tucked in his dress shirt for his walk onto the stage. 2 Comments on NFL Player Wore a Crop Top Dress To NFL Draft. That’s what fashion is. These days people were anything that makes them happy and that’s it. Nah. Too into himself. That’s not attractive. But then again FB players have to have game!